Originating in Central Asia, apples are one of the most important fruits globally and are grown in over 100 countries. Apple cultivation faces a number of challenges. Increasing global competition has put the focus on lowering costs whilst further improving sensory quality and shelf-life. There is a need to reduce inputs such as water, fertiliser and labour, both to save costs and reduce environmentally-damaging emissions and pollution. There is a continual battle with fungal, viral and bacterial diseases as well as insect pests. In the long term there is a need for new varieties able to withstand disease or more extreme conditions associated with climate change. This means preserving genetic variety and exploiting new molecular breeding techniques opened up by the sequencing of the apple genome in 2010. 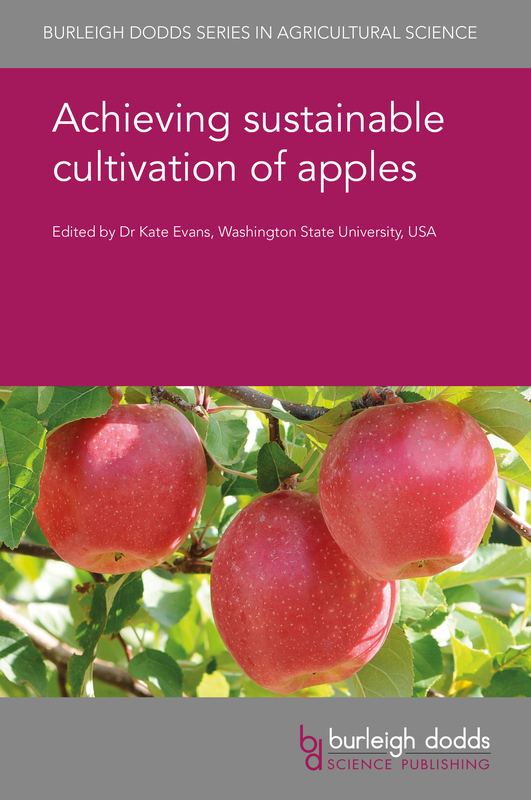 Drawing on an international range of expertise, this collection focuses on ways of improving the cultivation of apples as a food crop at each step in the value chain, from breeding through to post-harvest storage. The book first reviews research in apple physiology and breeding. The following sections focus on cultivation techniques through to post-harvest storage, followed by a discussion of diseases and pests and their management. Concluding chapters address wider issues such as economics, consumer trends and sustainability. Achieving sustainable cultivation of apples will be a standard reference for fruit and horticultural scientists in universities, government and other research centres and companies producing apples.